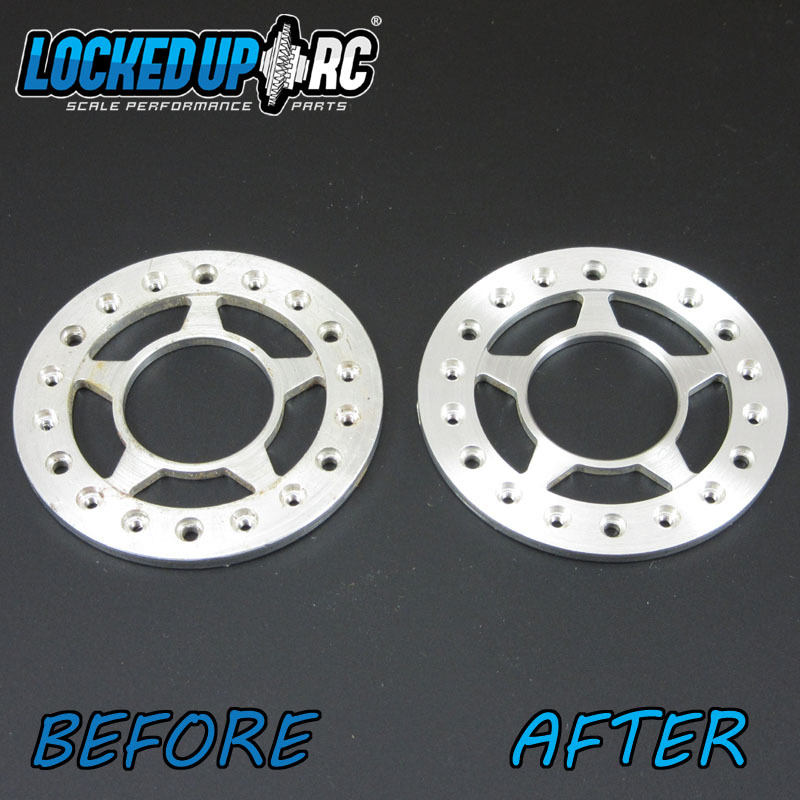 Refresh the look of your Locked Up RC ringss by having us refinish them here in the shop. We refinish the front "face" which is the surface that is most visible once a ring and tire have been mounted. Step 1: Checkout with 1 per ring you want refinished. (Ex: 5 wheels = Quantity 5). Step 2: After checkout, we will email you shipping instructions for your rings. Step 3: Ship us your stripped down (no hardware installed) rings. Step 4: We will refinish your ring to a like new Hand Finish. Step 5: We ship your rings back to you. 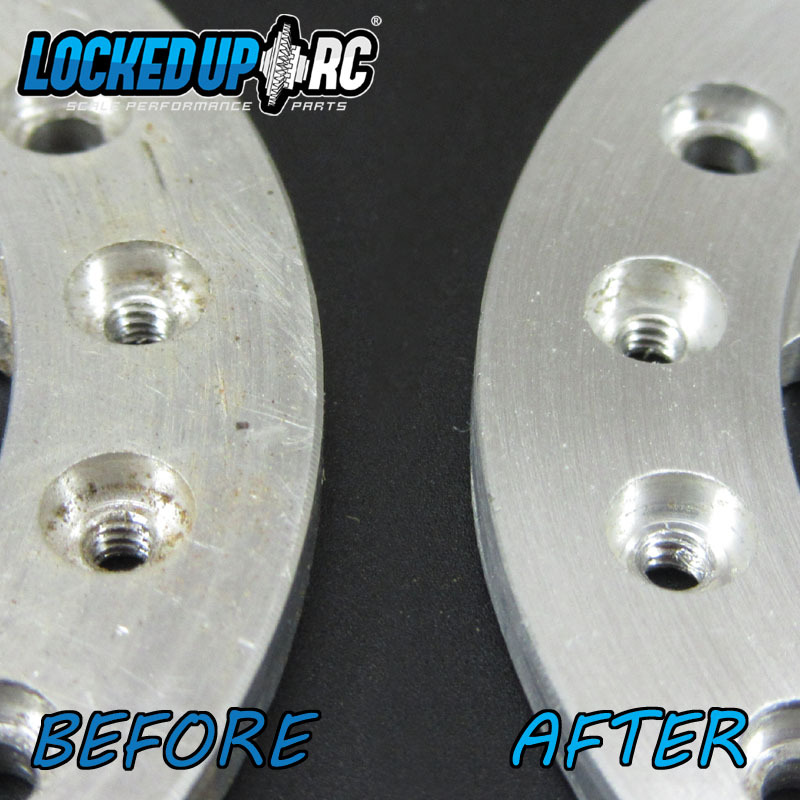 This service is only available for Locked Up RC rings with a natural/raw aluminum finish. Typical turnaround is 2-3 weeks. -Shipping added at checkout is to return the ring(s) to you. --If you add non service items to your cart, your entire order will be delayed until services are complete. -If you send greasy/oily rings we will have to charge for our time to de-grease them. -If you send assembled beadlocks we will have to charge for our time to tear them down.